The Best Western Plus Hotel Masséna Nice is always innovating to surprise and delight our guests. The latest new feature is in the breakfast room with a virtual ceiling reproducing the blue sky of the French Riviera. Breakfast is the ideal time to relax and stock up on vitamins before a day of sightseeing in Nice. Our 4-star hotel provides a buffet breakfast with a wide range of sweet, savoury, generous and healthy ingredients. So enjoy your meal under the blue Riviera sky! Look up during breakfast and a surprise awaits you! See the new concept ceiling with a very realistic illusion of a real sky view outside. This new feature brings more light to breakfast time, a touch of modernity and a feeling of more space. The luminous new ceiling generates a multi-sensory effect on human physiology, increasing the feeling of well-being. Breakfast is vital for getting the day off to a good start. The Best Western Plus Hôtel Masséna Nice management has invested over €15,000 in this new project, which took over 4 days of renovation work to complete. 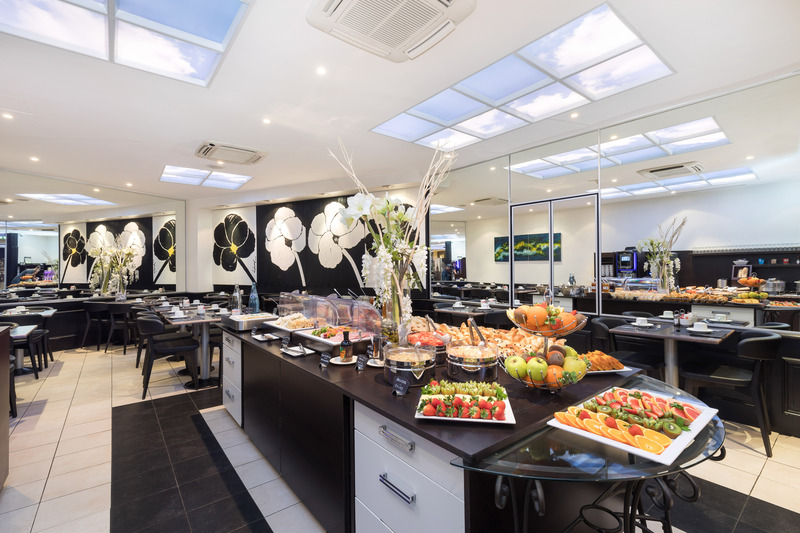 In our hotel, right at the heart of Nice, you can start the day with a complete and generous breakfast in the ground-floor breakfast room. The buffet breakfast is served every morning from 7.00 to 10.30 am, and in summer until 11.00 am. 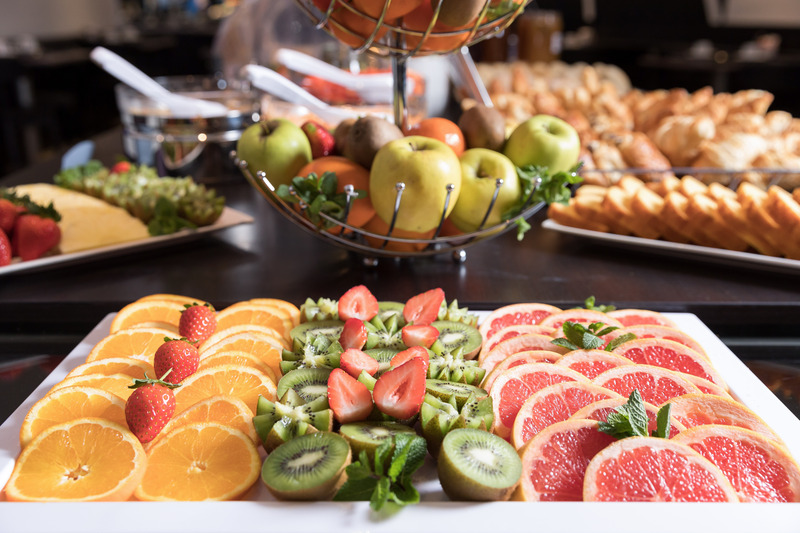 You can treat yourself to our American-style buffet with a wide selection of pastries, cereals, fresh fruit, rolls, dairy products, dried fruit, ham, scrambled eggs, sausages, salads, fruit juice and a range of hot drinks. For a romantic weekend in Nice, would you prefer to have breakfast with your loved one in your room? 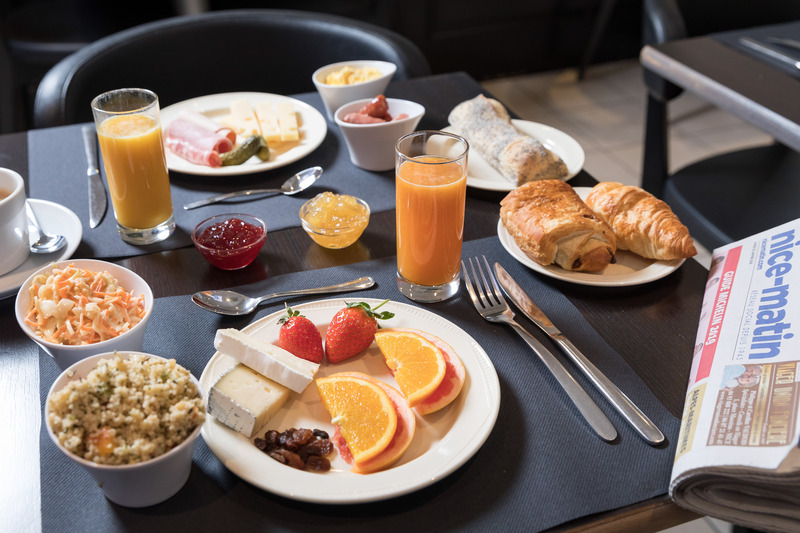 Then reserve your continental breakfast at reception the day before (extra charge of €4 per person) and enjoy an experience just for the two of you to get the day off to a great start. We can adapt to your morning schedule! 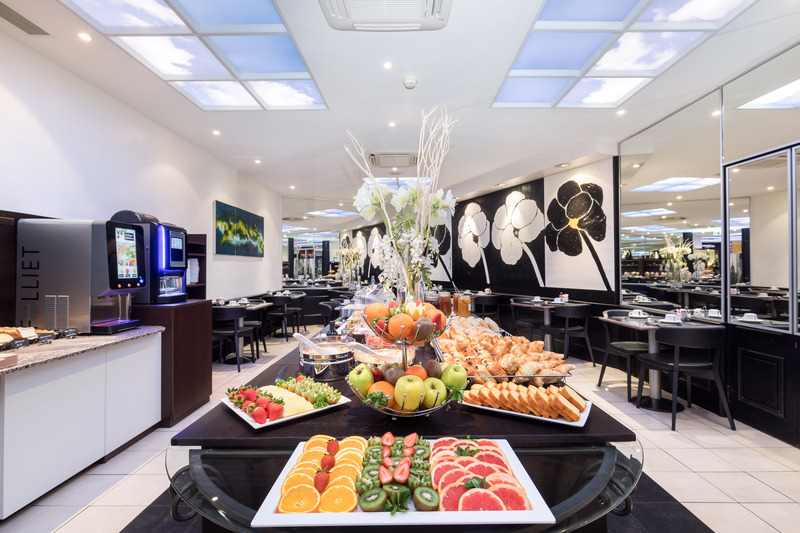 The Best Western Plus Hotel Masséna Nice also serves early birds and guests in a hurry with an express breakfast in the lobby from 6 to 11 am. It comes with fresh fruit juice, a hot drink and a pastry. Make the most of your weekend at the Best Western Plus Hotel Masséna Nice to stock up on energy and treats. At the moment, breakfast is free for all stays of over one night, as well as for our Seniors offer. So make the most of it, this is the right time to book your next stay on the French Riviera!